I’m the kind of person who really wants to be healthy but also hates running and loves food. Smoothie bowls are great because they appeal to both the nerd in me who loves food science and the easily amused pseudo adult in me who loves pretty things. This first bowl has a perfect mix of sweet and earthy flavors. I wanted this smoothie to retain its bright color without missing any of the benefits of leafy greens. 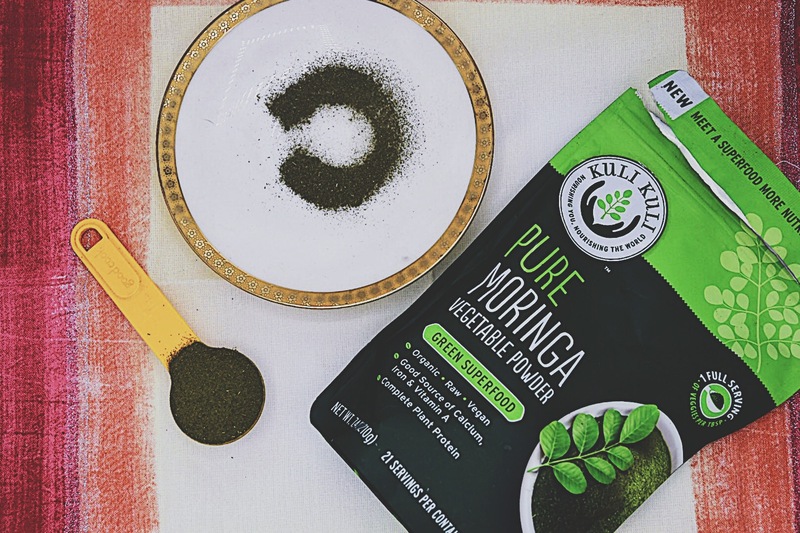 The powder is made by drying the leaves of the Moringa tree at a low temperature and then grinding them into a fine powder. 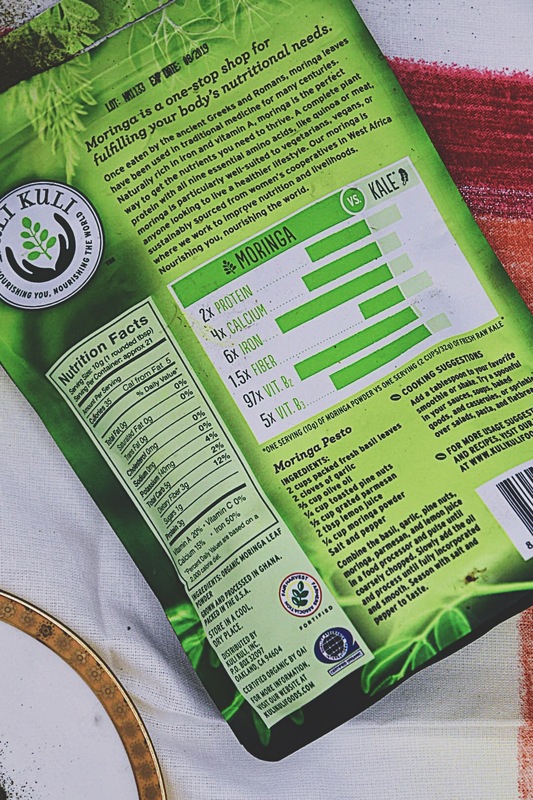 It’s and comeplete plant protein that’s packed with nutrients. By the way, I get all my superfoods / smoothie ingredients at Thrive Market which is my favorite place to find healthy and natural products. Use my link and save 25% on your first order! I weirdly love cranberries. They work well in sweet or savory dishes and something about the tart aftertaste thrills me. This is kind of a kitchen sink smoothie bowl but I like it because it’s ultra filling. To top: dried cranberries, sliced strawberries, pomegranate arils, pumpkin seeds, chia seeds, crushed rice cakes and candied ginger.